$450. 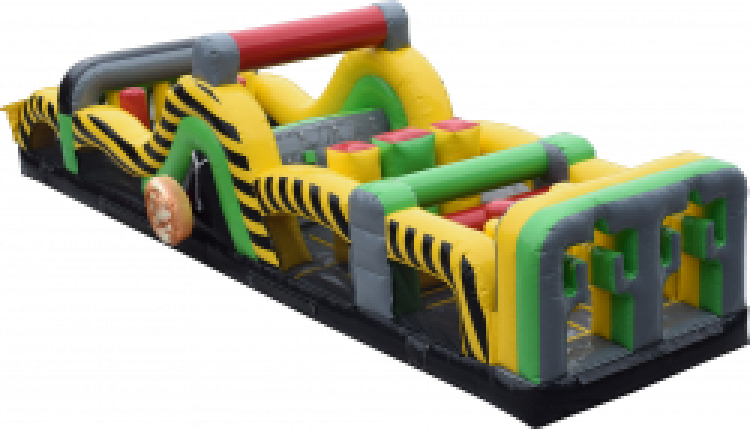 This caution themed obstacle measures 40'x11'x11'. It includes a 1.5hp blower. Minimum ht requirement 42" and maximum weight 250 lbs.